The Kimball theatre pipe organ in Kingston Ontario is the largest pipe organ in Canada. It was built by the Chicago Kimball Pipe Organ factory in 1928 for installation in the State Theatre in Youngstown Ohio to accompany silent movies of the era. It served there for many years until it was removed as the theatre changed hands and purpose. In 1979, a group of theatre organ enthusiasts purchased the organ, moved it to Kingston and formed the Kingston Theatre Organ Society. After there long years and many thousand man-hours of work, the first public concert was presented in September 1981. The theatre organ is a unique instrument and is very different from a church organ. The Kimball theatre pipe organ boasts 28 ranks of pipes voiced to simulate instruments of an orchestra: trumpets, tubas, violins, cellos, clarinets, French horns, oboes, and flutes to name a few. It also has an array of percussion instrument, among them: the xylophone, celesta, marimba harp, chrsyoglott, glockenspiel, drums, cymbals, bells, chimes, piano and a variety of sound effects. 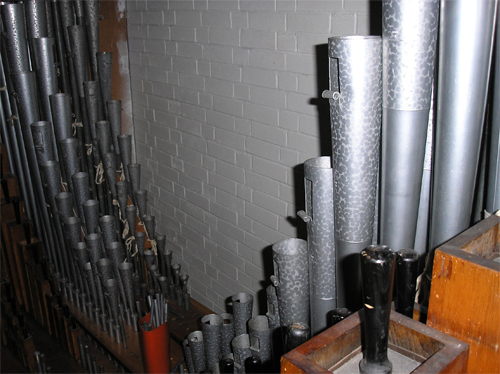 These sounds aren’t digitally produced – the actual pipes and all the percussion can be viewed behind the shutters at the front of the church (except the piano, which is in clear view). All this is controlled by a three manual white console to create a one man or woman orchestra. Top professional theatre organists are brought in from around the world to play on the Kimball organ. Visitors who attend a concert may hear a variety of music such as songs from the 1920’s up to present day, waltzes, ballads, marches, overtures from operas and popular classical pieces. 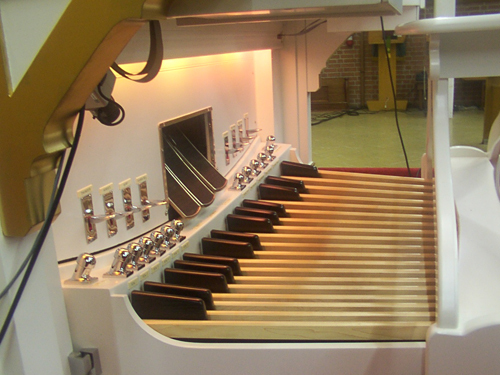 The Theatre organ is capable of bringing a wide variety of music to life. The experience is enhanced by a video projection system with two cameras mounted on the console so audiences can watch the artists’ fingers dance over the three keyboards or their feet deftly play the metal keys. If you enjoy live musical performances, the Kingston Theatre Organ Society invites you to join them at one of their concerts – it will be a musical experience you won’t forget! Head over to prizemax.net and enter for your chance to win 4 tickets to an upcoming performance! All performances are held at 89 Kirkpatrick Street. 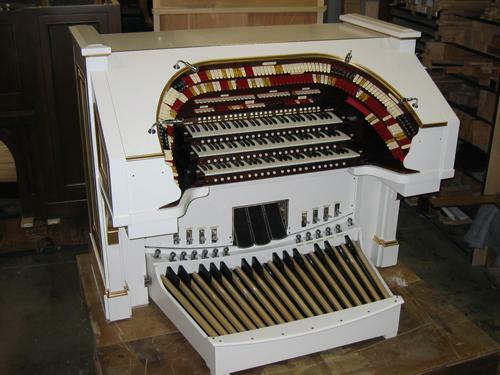 To find out more about the Kingston Theatre Organ Society, visit their website or call Roy Young at 613.386.7295. For more information about the American Theatre Organ Society, visit their website.